Human speech is one of the most complex sound waveforms in existence, which makes the conversion of voice to text a multifaceted process. Diction, accent and subject-specific terminology must all be taken into account in order to deliver accurate transcriptions. 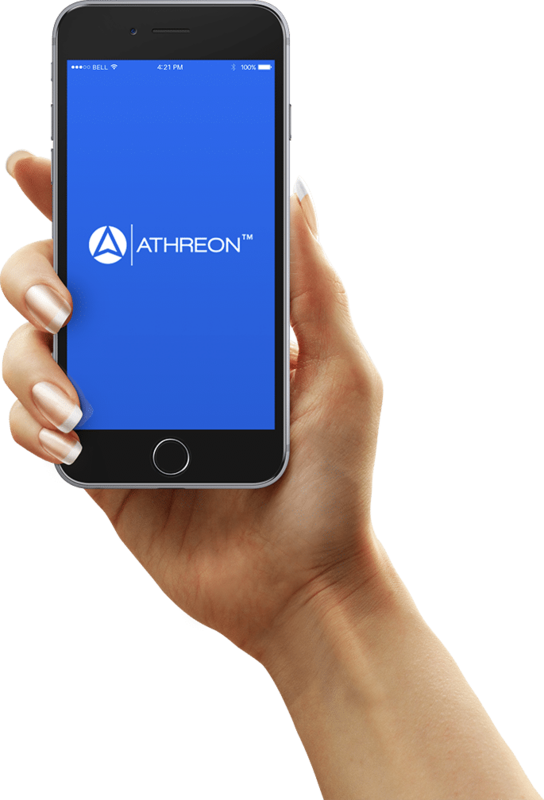 Athreon leverages the latest in voice recognition technology along with rigorous workflow reviews to quickly and effectively deliver a high-quality product. Because human speech is so complex, Athreon utilizes a fusion of technology and human interpretation, along with the latest in cyber security to deliver the highest-quality speech to text services to you. We uphold security protocols and industry standards, so if you work in the healthcare, law enforcement, financial or insurance industries, trust that we are the best choice for your transcription needs. To streamline the speech to text process including speech synthesis, we have created a unique, multifaceted mobile app designed to give you total control of your workflow. You can manage your audio files, dictate both on and offline, monitor the status of ongoing work, perform edits and even electronically sign documents from your mobile device or iPad. Security compliance is a top priority, and we strive to earn and maintain our clients’ trust daily. We are a HIPAA compliant and CJIS compatible organization. Our cyber security protocols are based on HITECH and Criminal Justice vendor regulations. Athreon security methods either meet or exceed all current industry regulations and are regularly updated with an aim to stay ahead of the curve. While our process may be driven by the latest in speech to text technology, it is our team of professionals who make it all come together. Beyond top-quality customer service and timely delivery of accurate transcriptions, it is our employees who, while maintaining our standards of strict confidentiality, run the quality control checks that make us a leader in the speech to text industry.